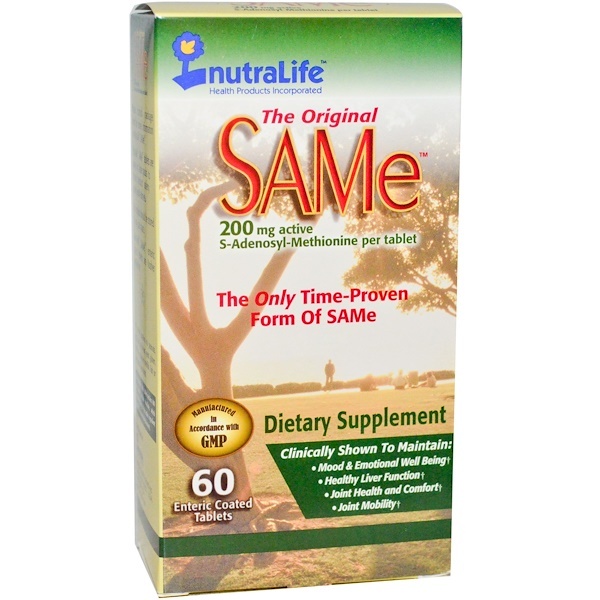 Each NutraLife SAMe tablet contains 200 mg of active S-Adenosyl-Methionine and is manufactured in full accordance with GMP. 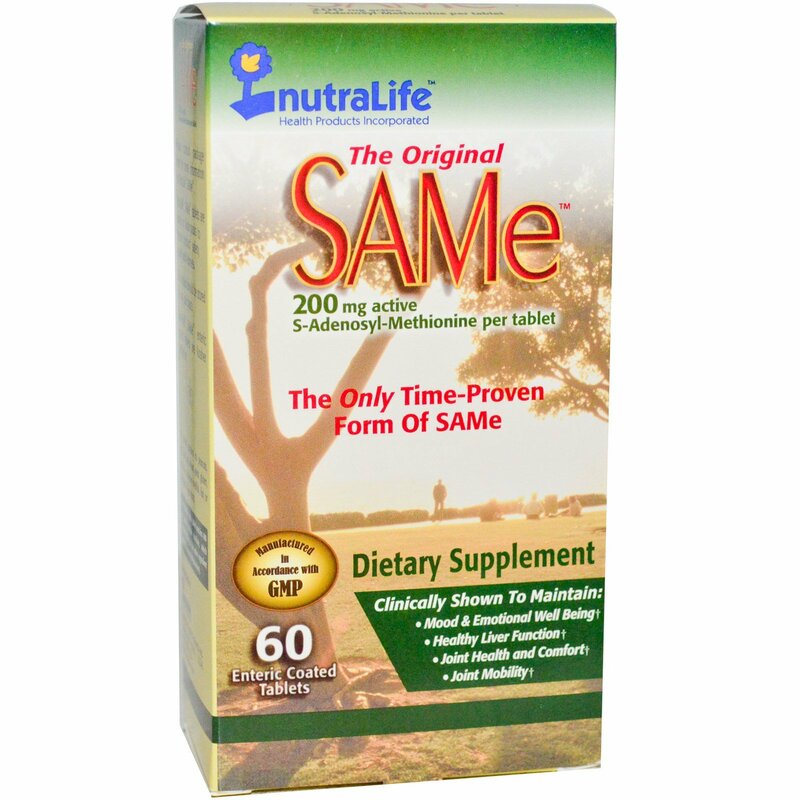 Clinical studies show that supplementation of 400 mg (or two tablets) a day is effective for most people. 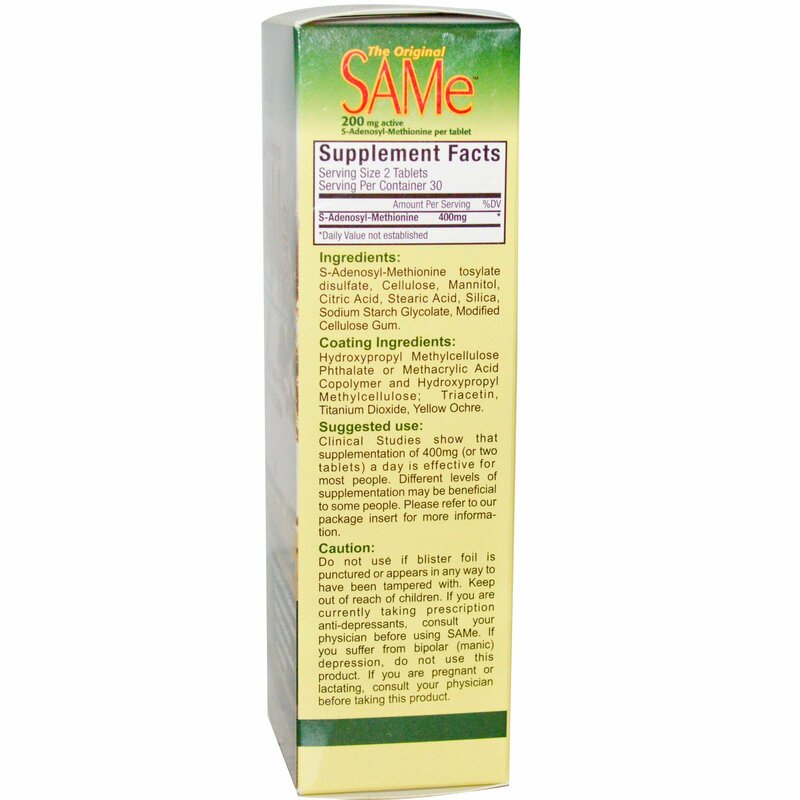 Different levels of supplementation may be beneficial to some people. Please refer to our package insert for more information. Hydroxypropyl methylcellulose phthalate or methacrylic acid copolymer and hydroxypropyl methylcellulose; triacetin, titanium dioxide, yellow ochre. Each NutraLife SAMe tablet contains 400 mg SAMe tosylate disulfate, which include 200 mg of the active ingredient SAMe (S-Adenosyl-Methionine).